We have already spoken in one of our recent article on the possible impact on human health of plant protection products commonly used as pesticides in nature, and in recent days a very important news concerning this delicate topic gained attention: as reported online by the international fresh fruit and vegetables news FreshPlaza, the 19 and 20 July 2018 the commission of the European Union has proposed to the member states a debate concerning the reduction in the use of phytosanitary products based on copper salts. 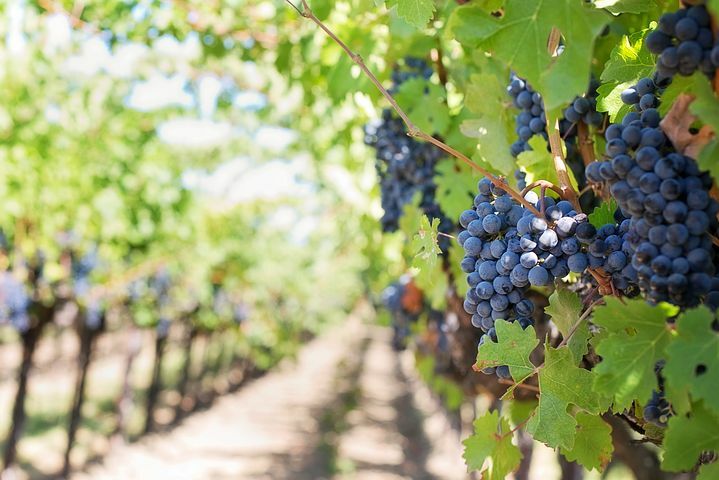 These products based on copper salts have been used in agriculture since the 19th century, and especially in viticulture their use has always been considered of fundamental importance in the fight against various fungal infections that can affect the vine plant. However, in the face of their danger to humans, already in 1991 the EU envisaged a program to reduce copper salts phytosanitary up to prohibit it completely by 2002, only to postpone the date with concessions in extension, of which the last will have expiry in 2019. I am aware of the importance of these substances to farmers, especially organic producers, but my priority is to protect health and the environment. These are the words of Vytenis Andriukaitis, EU Commissioner appointed as competent in the matter. The damage caused by a prolonged exposure to these products is not only for the environment, but also affects the man, with possible skin and eye damage, up to problems related to pregnancy and the fetus with regard to pregnant women. According to sources close to the dossier, already this week Brussels will propose a renewal of the authorization for 5 years with reduction of the use limits from 6 to 4 kg per hectare per year. With this aim of reducing the use of phytosanitary products based on copper salts, our ZEM70 activated Chabasite Zeolitite product is without a doubt a very good and 100% natural alternative. With a traditional supply of 5-6 kg / hectare of ZEM70 micronized zeolite, it is possible to reduce the use of copper-based products in the formulation by approximately 30-40%. Furthermore, according to studies conducted by Dr. Domenico Prisa, it has been possible to see how the zeolite works in complete synergy with copper, without hindering its action but on the contrary increasing its anti-fungal power and above all extending its effect over time. thus allowing a reduction of the necessary treatments. According to a recent study carried on in France (we report here the Italian article on Italiafruit news) by the national institute of health, it has been discovered a direct connection beetween the increasing of metabolic illnesses (such as obesity and diabetes) and a diet based on fruits and vegetables treated with chemical pesticides. Even thou the styìudy has been carried on rodents and there’s no proved scientific evidence on the effects on humans, this news points directly to the unrestrained and compulsive usage of chemical pesticides to treat goods coming from nature, something we daily eat in our houses; Bal-co GreenLine wants to push on the importance of believing in a biological farming, based on 100% natural products, respecting not only nature, but mainly our safeness on what we eat every day. This standing, Bal-co GreenLine products are certainly the answer to a farming safer for environment and huamn health!